The 10th annual Omaha Film Festival was in March and it was the best year yet! 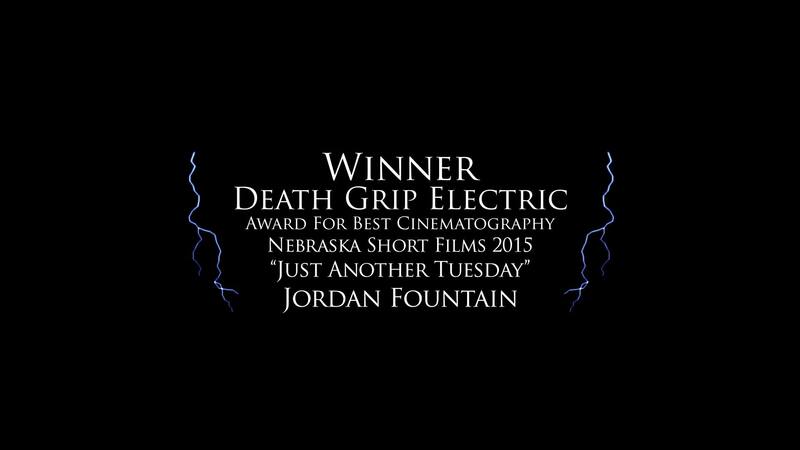 I wanted to take this opportunity to congratulate filmmaker Jordan Fountain for winning Best Cinematography in a Nebraska Short this year. Jordan shot the film “Just Another Tuesday”. As one of the more prolific filmmakers in Nebraska, Jordan has worked very hard over the last couple of years to always bring great work to the festival. As part of his prize package, Jordan won up to three free days of grip and lighting from Death Grip Electric. We can’t wait to see what he comes up with next! ~ by Michael Lang on April 13, 2015. This entry was posted on April 13, 2015 at 1:15 pm and is filed under Uncategorized.You can follow any responses to this entry through the RSS 2.0 feed.You can leave a response, or trackback from your own site. Previous: New Lighting Workshop July 27th & 28th, 2012!